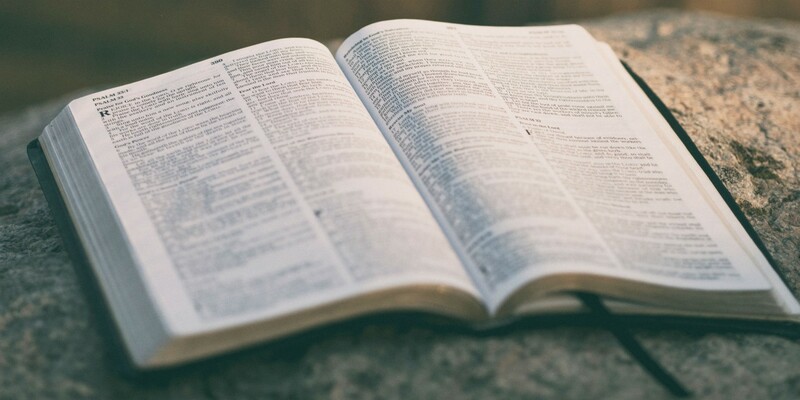 If you’ve spent some time reading the Bible and trying to study God’s Word, you’ve probably experienced this situation: You begin reading a passage and the first few verses are uncomplicated and straightforward. “Don’t be anxious about tomorrow." Got it. Then, seemingly out of nowhere, you come across a verse that leaves you with a furrowed brow. You read the words again and again but are left asking yourself, What does this mean? There are some steps we can take to help us better understand God’s Word. This dilemma can leave you feeling like you are in high school trying to understand Shakespeare again. Our obstacles in understanding Scripture are similar to when we were in the classroom. We’re separated from the context of the Bible by thousands of years. Our culture and language are drastically different from the author's. Although these challenges seem daunting, there are some questions we can ask to better understand what we're reading. 1. Who is the author talking to and why? Is he addressing a particular situation of the nation of Israel or in the church? Is it a personal letter to a single person? Is the audience before or after Jesus came to earth? Figuring this out allows us to recognize what this verse would have meant to the original audience. 2. What is the larger passage talking about, looking at the verses before and after? If we attempt to remove a single verse from its position, then its meaning can be significantly distorted. Conversely, if we consider what the surrounding verses are addressing, it will be easier to discover what the difficult verse is talking about. 3. What type of writing is this? Maybe you’re reading a personal letter, a narrative, or possibly a psalm of poetry. We certainly don’t read a news article the same way we read a poem. We approach these writings differently because of their different genres. Scripture is the same way. Keeping the genre of the verse in mind will be beneficial. 4. What words are important? Are there any conjunctions, like “and” or “because” connecting this verse to the earlier verse? Do you spot words like “if” and “then”? These words communicate connection or causation and will help you understand your verse and how it fits into the larger passage. 5. Where else does the Bible talk about this? Some verses may also have parallel passages, like the stories in the Gospels or passages in the New Testament quoted from the Old Testament. Looking at these passages will also aid in your pursuit of the message in this verse. Answering these questions can help you discover the meaning of those difficult verses. But nothing will help you understand the Bible better than reading consistently and reading with friends. Find a Bible study group where you can talk about what you're learning, and when in doubt, just keep reading.